Whether dressed down on the side lines of a pitch, looking glam on a red carpet or interviewing guests in a studio we think Zoe Hardman always looks gorgeous. Fun, and a total on screen natural its no surprise that she has accumulated a wealth of experience appearing and presented countless shows. You will recognise her from ‘The Zone’ for ITV1, E4 Music, Championship Gaming Series for Sky One, Play Date ITV2, and Used Car Roadshow for ITV4. After advising guys on Playing it Straight and Take Me Out The Gossip, Zoe is an expert in the art of attraction so Who better to recommend grooming tips to make sure you stay ahead in the dating game …. Freshly showered, with clean glossy hair and smelling great! 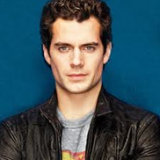 David Gandy, Henry Cavill and David Beckham. Completely. Men have become so much more body conscious in the last few years and the pursuit for the perfect set of abs seems to be high on their agenda! You only have to look on the shelves to see how many more skincare products for men are on the market these days… the preened prince is having his revival! Getting a good hair cut always helps and I definitely think that men should moisturise. Soft kissable skin is so much more attractive. 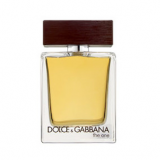 What is your favourite fragrance for yourself and on a man? 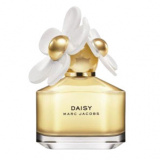 I wear Marc Jacobs Daisy as it’s light and fresh. 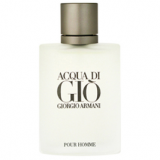 On a man I like Giorgio Armani Acqua Di Gio or Dolce and Gabbana The One. 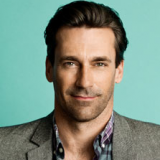 Whilst presenting Take Me Out – The Gossip, you must have seen many male grooming mistakes. What is the biggest grooming disaster you’ve seen? There was one guy, poor thing, who was so nervous that he couldn’t stop sweating, which didn’t bode well with the light coloured shirt he was wearing. We kept having to tell him to keep his arms down!…fellas if you sweat a lot, always go for black! What three products should a guy use before appearing on Take Me Out? Deodorant, Aftershave (but not too much) and mouth wash! 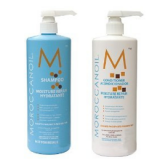 At the moment I’m loving Moroccan Oil Shampoo and Conditioner for my hair, it really helps to rehydrate it. On my body I keep it gentle with ‘Simple’ Kind to Skin Body Wash, I like non perfumed products in the shower as my skin can be sensitive. My body buffer – Just because you’re a man it doesn’t mean you don’t have to have gorgeous soft spray on skin!